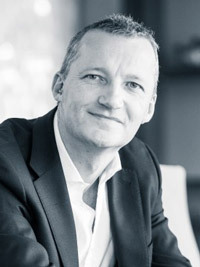 Peter founded Mutuo in 2001 as the first cross mutual sector body to promote co-operative and mutual business to opinion formers and decision makers. He has twenty years’ experience in the mutual sector, working with co-operatives, mutuals and employee owned businesses. For ten years, he was General Secretary of the Co-operative Party. In 1999, he was a co-founder and secretary of Supporters Direct, the football supporters’ initiative, which has gone on to establish over 100 supporters’ trusts at professional football clubs. He led the Parliamentary teams which piloted five private members bills through the UK Parliament, working with all parties to update co-operative & mutual law. He led the Mutuo teams in major constitutional and governance reviews by the Co-operative Group and Nominet. He is a founder member of the management board of the Oxford Centre for Mutual and Employee-owned business, based at Kellogg College, Oxford University. Since 2004, he has worked closely on a number of public sector structural reforms, including NHS Foundation Trusts, advising both Government and Trust Boards on the adoption of new membership structures. 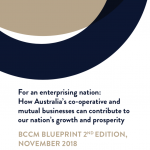 In 2011, he advised the Coalition Government on its plans to mutualise Post Office Ltd and in 2012 published the report of the Ownership Commission, a two year study into corporate diversity. 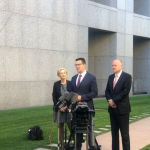 In 2015, Peter published an independent review into public policy affecting mutuals and completed work on the Mutuals Deferred Shares Act, which permits mutual insurers to issue cooperative share capital. Mark joined Mutuo in 2010 as a public affairs and corporate communications specialist. He is currently Secretary to the All Party Parliamentary Group for Mutuals, liaising with Government, MPs and Peers on projects to help develop mutual businesses. Between 2010 and 2012, he served as Assistant Secretary to the Ownership Commission – a two year study into corporate diversity. In 2012 Mark conceived and coordinated the UK Mutual Business Leader Visit to the United States, fostering relationships between senior executives, meeting with politicians and regulators. He has presented at a number of global events including the ICMIF Communications Leaders Forum in Singapore and the International Cooperative Summit in Quebec. Prior to joining Mutuo, he worked as a Researcher for a Member of Parliament in the House of Commons where he gained extensive parliamentary and government affairs experience. He is a graduate of the University of Warwick. Cliff is a practitioner in the law and governance of co-operative, mutual and membership based organisations. 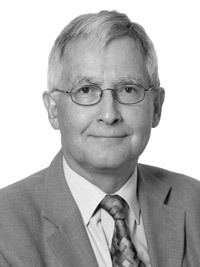 He has written the constitutions of a number of the UK’s leading co-operative retail societies including the Co-operative Group, established the constitution and governance of a substantial number of NHS Foundation Trusts, and played a significant part in the development of mutual society legislation in the UK. He has worked extensively with Mutuo over the last decade in the development and application of mutual and co-operative models of ownership for public services. These have included healthcare, social housing, leisure services, education and children’s services. He has also worked in the voluntary and charitable sector. The aim has been to create robust models for organisations which are trading for a public or community purpose, with an ownership and governance structure based on user, staff and local community membership. Recent and current projects include the mutualisation of Post Office Limited, Co-operative Councils,library services and community health services. 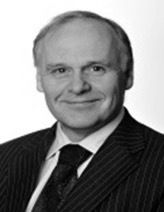 As well as being Principal Associate with Mutuo, Cliff is a consultant with Anthony Collins Solicitors, and Capsticks. 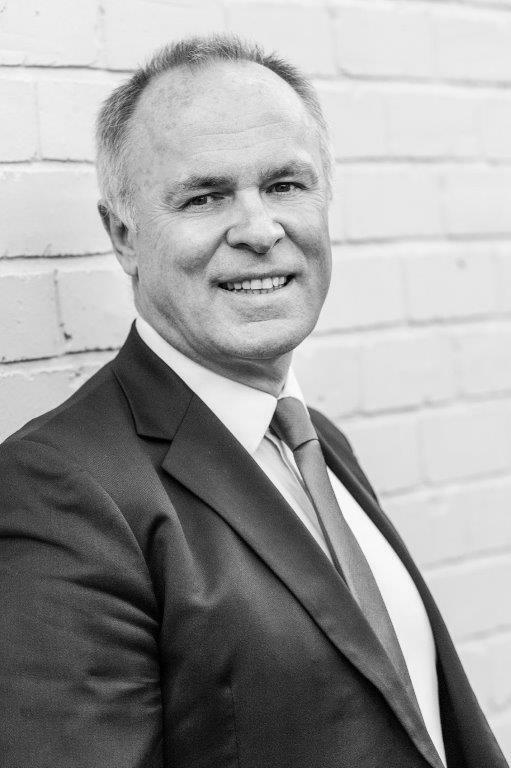 Nick is an experienced senior executive and lawyer who has worked in the financial services and retail sectors and across a variety of differing ownership structures. He has extensive experience of corporate, the co-operative and wider mutual sectors. He has a strong background in regulatory, compliance and corporate re-organisation as well as managing major litigation projects. Most recently he was Company Secretary to the Co-operative Group where he was responsible for governance across the full range of businesses, working with Regulators and leading core business functions. 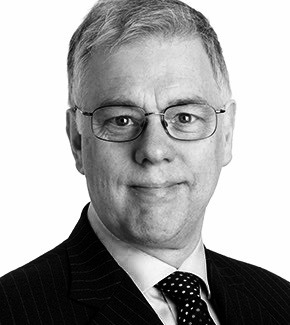 John has specialised in advising friendly societies and other mutual insurers on legal and regulatory matters for over 25 years. 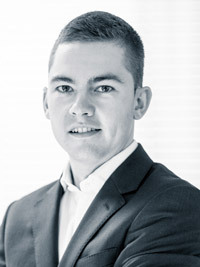 He is a solicitor, formerly a partner, at the international law firm Hogan Lovells for which he now acts as part time consultant while also running his own consultancy practice, M&G Advisory Services, in partnership with, Richard Martin, a former regulator of friendly societies at the Financial Conduct Authority and predecessor organisations. John has been involved in most of the major developments affecting the sector during his career: Liverpool Victoria’s acquisition of the Frizzell Group from Marsh; the incorporation of several societies under the Friendly Societies Act 1992, including complex transactions to incorporate branch-based societies while retaining their semi-autonomous branch networks; Project Chrysalis, the campaign by with-profits mutual insurers to persuade the regulators to allow them to recognise mutual capital, which has resulted in amendments to the FCA Handbook. Recently he has been assisting Mutuo with the drafting and negotiation of the Mutuals’ Deferred Shares Act, which received the Royal Assent in 2015 but on which work is still ongoing on the regulations to implement the Act. John was one of the first to see the opportunities for UK mutual insurers to provide sharia-compliant Islamic insurance, or ‘takaful’, on which he continues to work alongside his practice advising mutual insurers on legal, constitutional, regulatory and governance matters. Kevin is a solicitor who has specialised in governance, especially in the mutual sector, for 25 years. He received the Financial Times Innovative Lawyer of the Year 2010 award for his work in this area, including his work with FC United of Manchester, focusing on new methods of funding. He also led the team that was shortlisted for the Client Service award in 2012 for its work with Lambeth Council in developing a simple means of assessing the appropriateness of services to be delivered through mutual structures. He has a background in employment law and has wide experience in the way businesses are structured and managed. He has used this expertise working with other lawyers and practitioners to establish new structures in the education, healthcare, sport, affordable housing, care, youth services, school services, direct council services (including highways and transport), utilities and leisure sectors. This included the supporters trust model, the NHS Foundation Trust model, the co-operative school model (which has been used by over 700 schools across the UK) and, in Knowsley, the first mutual in which staff and young people own and control the delivery of youth services. His approach is always intensely practical, working to find governance structures which reflect the purpose of each organisation and create an environment in which the organisation’s purpose has the best chance of being achieved. 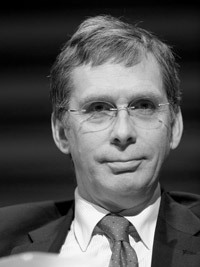 After 15 years with the UK’s Co-operative Group, Iain was Director General of the International Co-operative Alliance (ICA) in Geneva from 2002 to 2010. He is a Trustee of the New Lanark Trust and of the Adam Smith Global Foundation, a GlobalScot, and a board member overseeing the Co-operative Management Education programme at St. Mary’s University, Halifax, Nova Scotia. In 2005 he was President of the UK Co-operative Congress. In June 2013 he was awarded an honorary doctorate by the University of Stirling and was recently elected onto the National Members Council of the Co-operative Group. He is currently acting as an international co-operative consultant, recently in support of the International Summit of Co-operatives held in Quebec in 2014. A Cambridge graduate and qualified solicitor, Ann has 30 years’ experience of policy advice and consulting work in the field of employee ownership. She was involved in setting up and running two successful consultancy companies: New Bridge Street Consultants Limited (owned by Clifford Chance) and Capital Strategies Limited. During this period she advised on employee ownership in a wide variety or public and private companies, and set up the first ESOP in the UK, in Roadchef Limited. She has supported the Capital Law led litigation to recover funds on behalf of the Roadchef EBT. She implemented employee trusts on privatisation of the bus, air, electricity and coal industries, and worked with a number of trades unions as well as the trade union owned bank, Unity Trust. She was a Trustee of the Baxi Partnership Trust for 10 years to 2010, and acted as Executive Director and Company Secretary of the Employee Ownership Association, an organisation with which she was actively involved for over 12 years, and on behalf of which she took a private members’ bill through Parliament in 2002 to improve the tax regime for employee ownership and set up the APPG on Employee Ownership. She is a Trustee of Employee Ownership Insight. 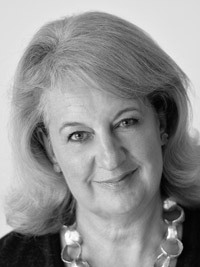 In recent years, she has contributed to the Nuttall Review, sat on the BIS Stakeholder Advisory Group, led a working group on the proposed establishment of a new Institute for Mutual and Employee Owned Business, organised the first Robert Oakeshott Memorial Lecture delivered by Nick Clegg, reviewed the Labour Party policy on Employee Ownership as part of the Hunt Review on Mutuals and organised a UK employee ownership study tour for a group of lawyers and politicians from the Basque Country. She is currently a consultant with Lewis Silkin LLP.